Spice up a basic and cheap package of vegetarian ramen noodles to give it some extra kick! 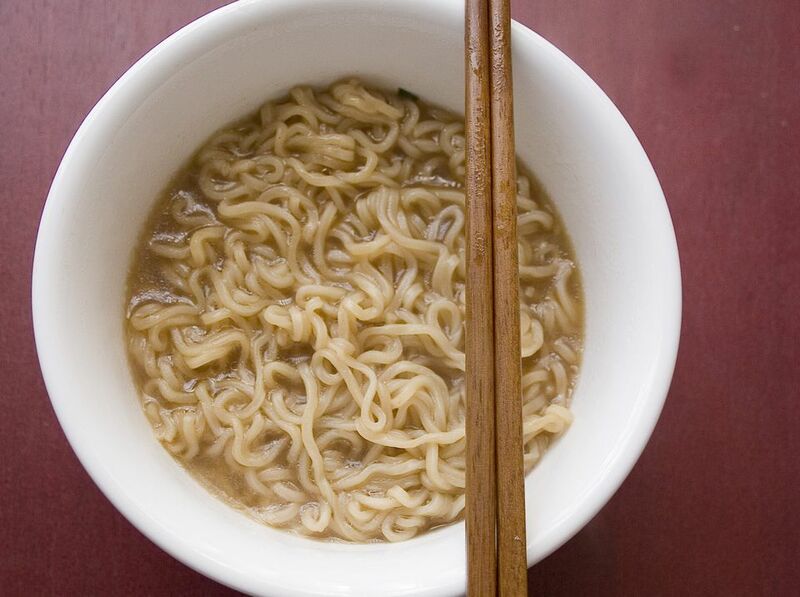 Instant ramen noodles get a bit of a bad rap. Sure, they're not necessarily a great meal on their own, but then again, neither is plain pasta or white bread, and they don't have nearly the same kind of negative reputation that ramen has! This recipe is a great way to spruce up a pack of ramen quickly and easily, transforming it from the usual flavors. If you've got some curry powder, a bit of cumin and some red pepper flakes on hand, you can make yourself the basis for a quick Japanese-inspired vegetarian ramen meal. Add some tofu or some greens, if you want to make it more of a full meal. you can add a handful of green onions, too, for some crunch and oniony flavor, or, if you wanted to get fancy, brown some shallots until crispy and toss those in. If you're a vegetarian or vegan on a budget and eating cheap ramen noodles, you can use this quick and easy recipe to add some flavor and variety to your ramen dishes by making a simple ​vegetarian and vegan ramen curry. Cook the ramen in the water for a minute or two, according to the package instructions. Add the curry and cumin, and allow to heat for another 3 to 5 minutes, or until noodles are done. Add a dash of red pepper flakes and enjoy!